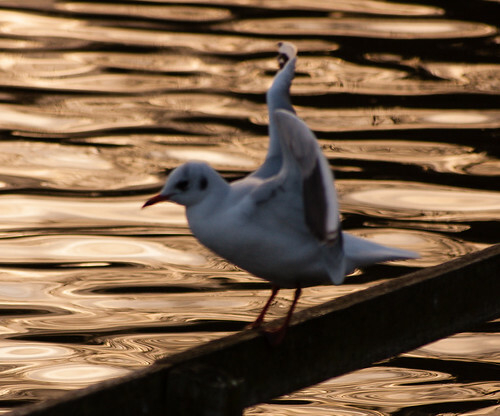 Black-headed gulls are the type of gull most often found inland. As these pictures show, the name can be misleading. For most of the year, their heads are white. The black heads are only on the adult birds during the breeding seasons. Even then, the colour is actually a dark chocolate brown which looks black in most lights. 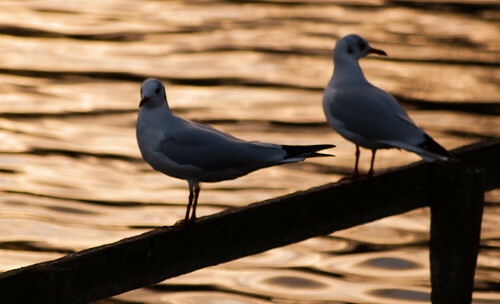 These gulls had landed on the rail around the boating lake in West Park as they kept one beady eye on the people feeding the birds.